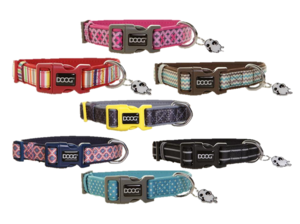 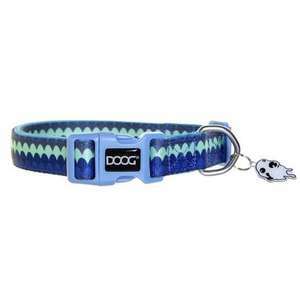 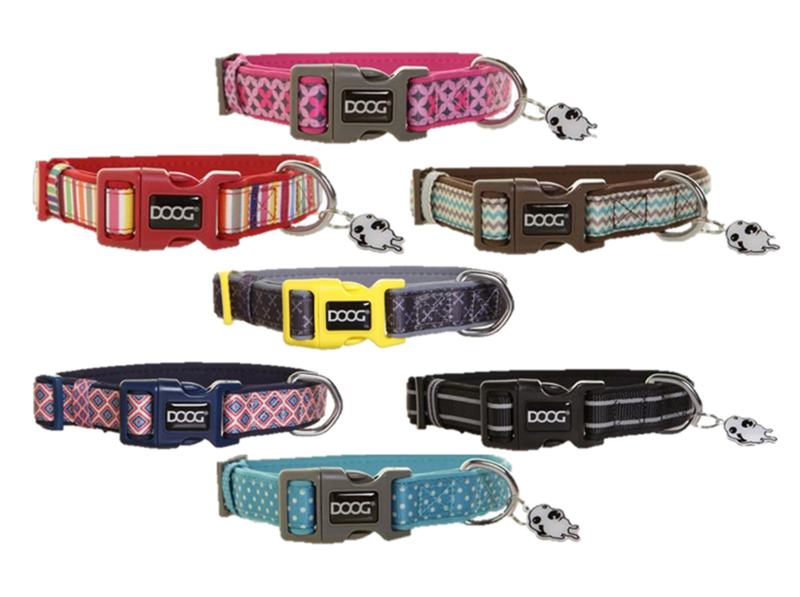 These dog collars from DOOG are made from practical, quick dry, comfy neoprene. 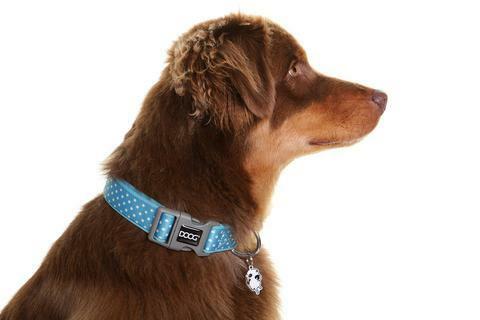 These collars are also a great option for dogs who have sensitive skin as they are lightweight and don't rub. 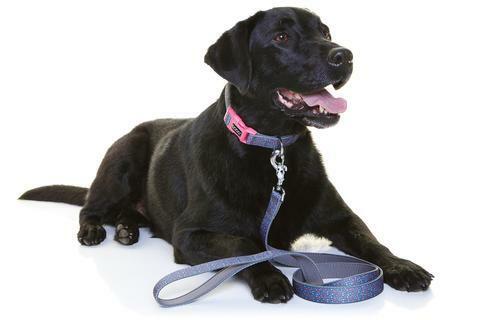 Neoprene material also contains an antibacterial agent and draws moisture away from the skin making it ideal for water loving dogs. 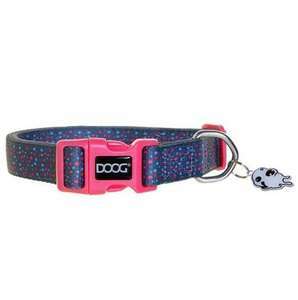 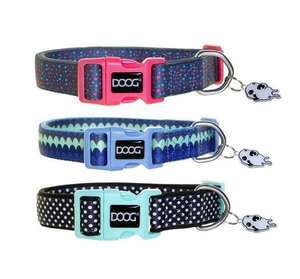 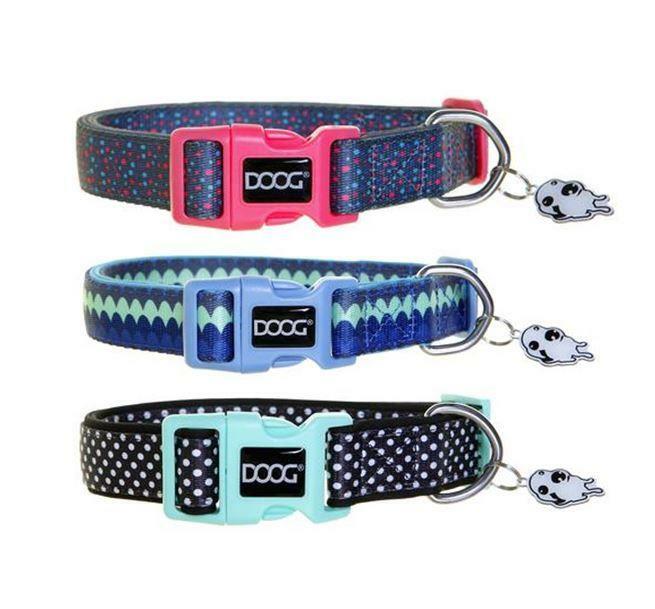 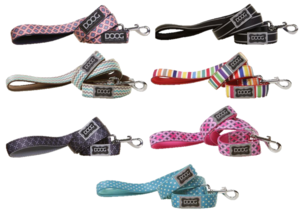 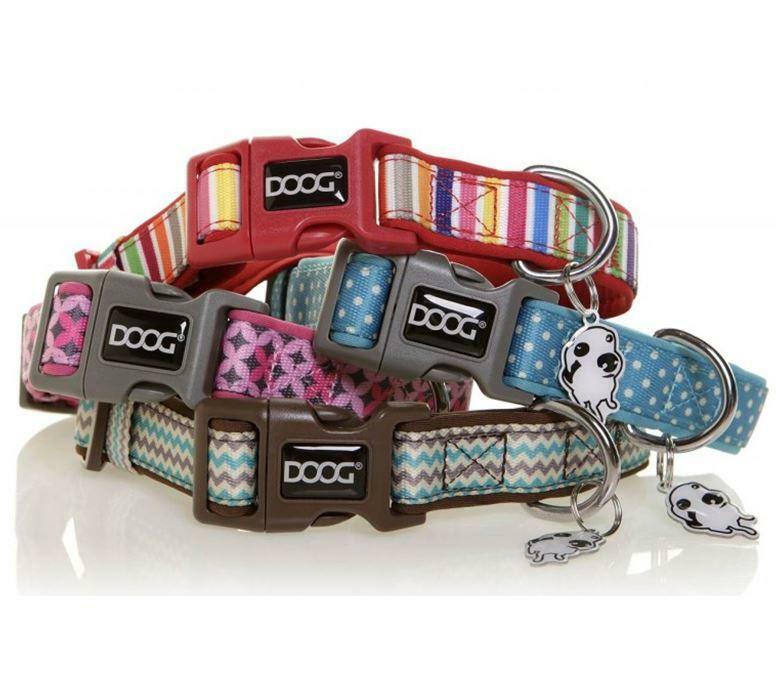 These fun and practical padded dog collars from DOOG are not only comfy but also come in a choice of colours and patterns. 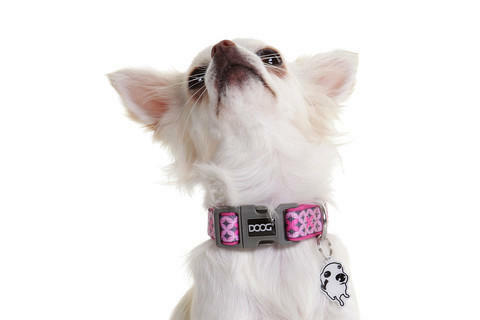 Comes with a silver doggie ID tag for you to engrave your pet’s contact details onto. 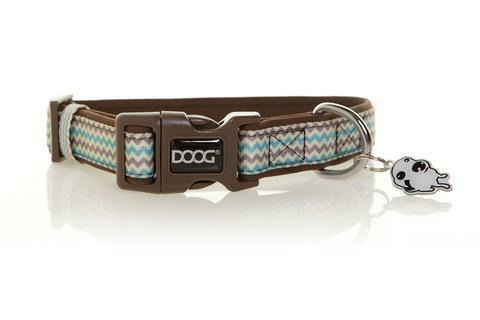 Benji – Finished in sophisticated brown and aqua blue chevron stripes, your dog will be turning heads on your daily walk in this stunning collar. 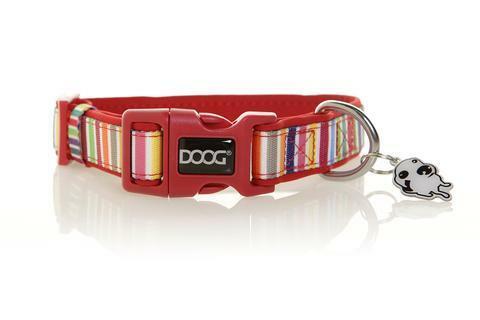 Scooby – Eye candy in candy stripes! 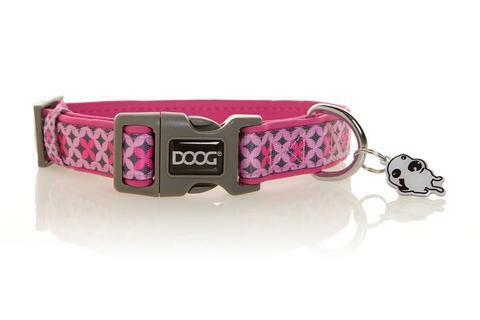 This collar is so fun and bright your dog will be the most noticed in town walking around in this gorgeous collar. Snoopy – Finished in beautiful, bright and playful polkadots, your dog will be the envy of all his friends at the dog park in this stylish collar! Toto – Finished in a funky pink and grey geometric pattern, this super cute collar will make any pretty dog win best in show! 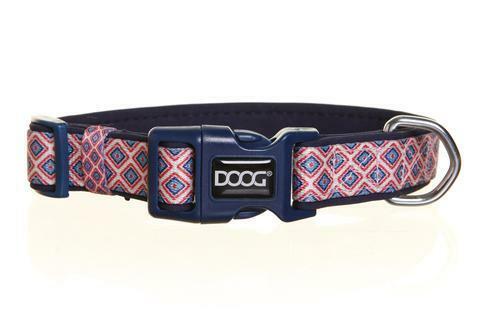 Gromit - Finished in a retro diamond pattern with a navy blue clasp, this college style striped collar is too cool for school. 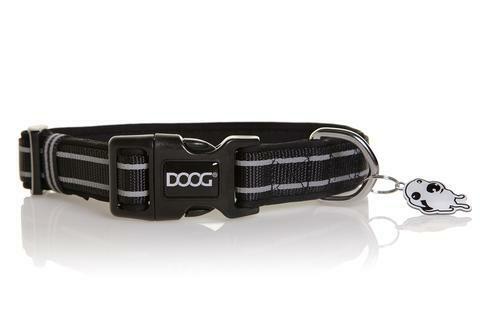 Lassie - For the classic dog you can't go past this black neoprene collar with reflective stripes. It's quick dry, sporty and comfy, perfect for active, water dogs. 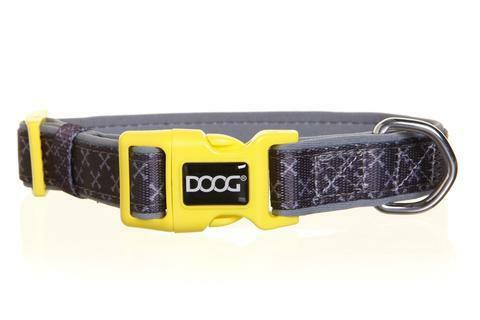 Odie - Finished in a silvery, grey cross bone pattern with a bright yellow clasp its sure to make your dog stand out from the crowd. Pluto - This gorgeous collar is finished in a wave pattern in all the beautiful colours of the ocean. 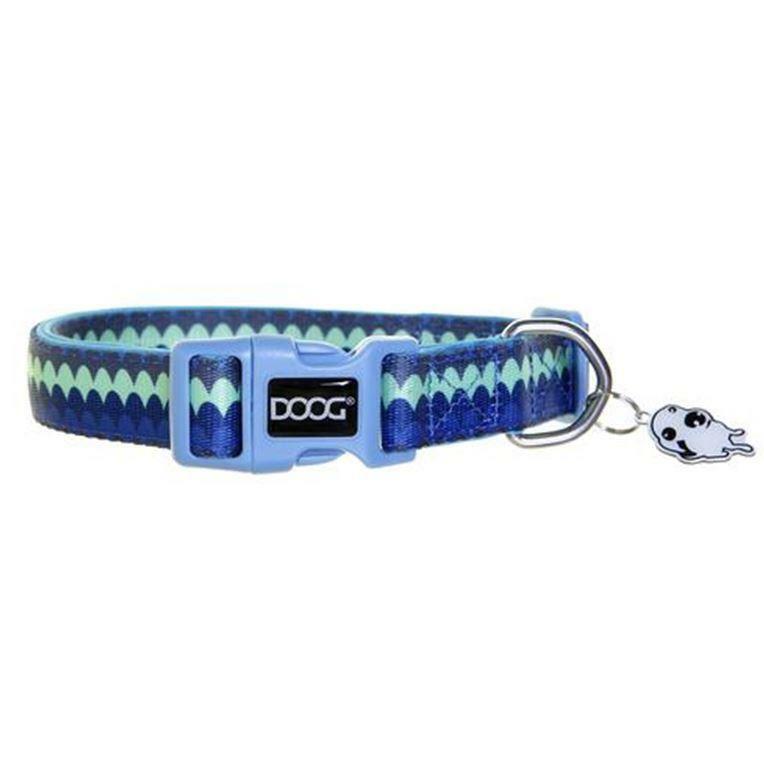 A perfect collar for a beach dog! 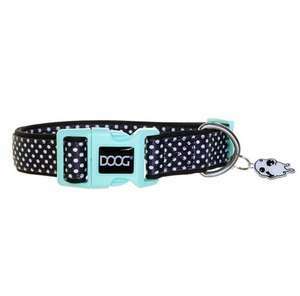 Note: Please take your dog’s neck measurements to ensure you purchase the correct size.